Tho I lost interest when they started introducing new spaceships ..my kickstarter ship is already outdated before the game is released. That's really a bad thing which makes me question their intentions. Don't get me wrong...they have every right to make money, but the way they are doing it makes me very annoyed. I prefer the Oculus..who are giving me the new Oculus for free because I backed them in the beginning. Sorry Wolfie, looks like Vander, Blackie, and me all are getting more for our money. 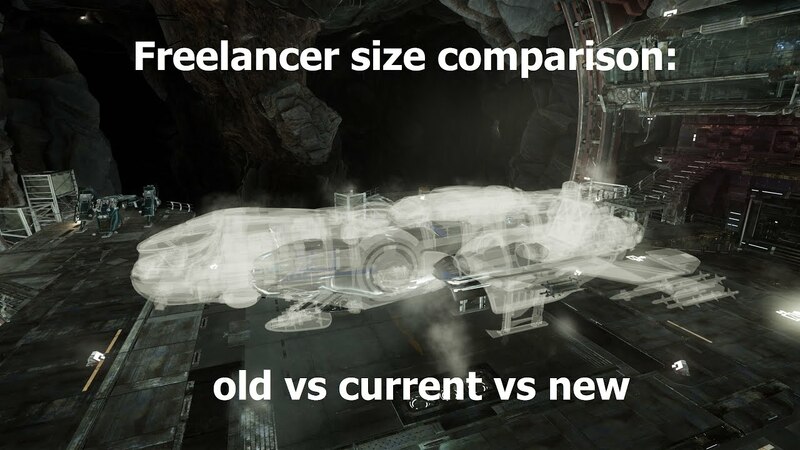 Our ship, Freelancer, apparently continues to grow! Click to view image full size; if you look closely the old Freelancer inside there. Maybe this development cycle thing isn't so bad after all? Not sure what the plans are here. Will all ships already created be remade? Will everyone else complain until their ship gets the same treatment? But hey Wolfie, about those VR goggles, ask if you can get two, eh?